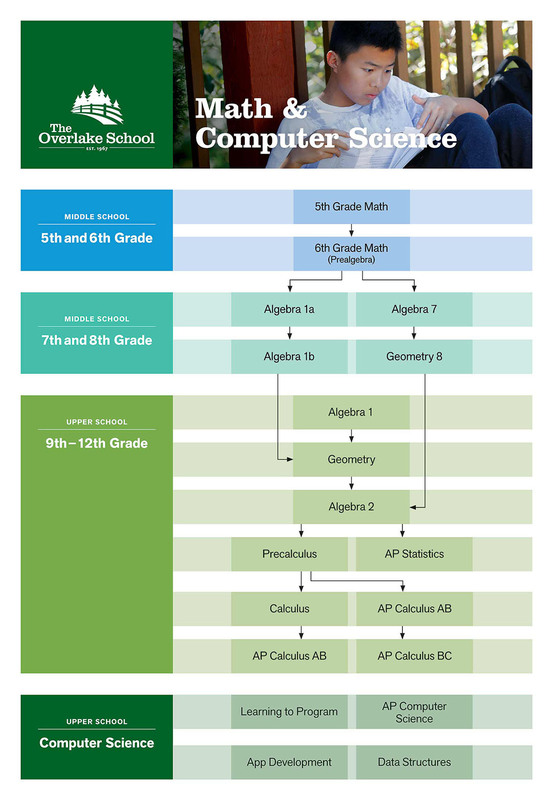 The Overlake Mathematics and Computer Science Department delivers a rigorous curriculum which provides students with the opportunity to take at least one year of calculus while at Overlake. Algebraic skills are emphasized throughout a modern, streamlined curriculum. Overlake Math teachers believe that all Overlake students have the ability to pursue any course of study at the university level and that early exposure to calculus both motivates and facilitates further study in science and mathematics. In the Middle School, students work together in a differentiated math classroom as a single community in 5th and 6th grade. In 7th and 8th grade, students are placed into either a 2-year Algebra sequence or a 2-year Algebra/Geometry sequence. All Overlake Middle School students leave 8th grade with a high school level course in Algebra and are on track to study Calculus at the college/AP level while in the Upper School. In the Upper School, Honors courses are offered in Geometry, Algebra 2, and Precalculus, and AP courses are offered in Calculus. They are intended for students who show special interest and aptitude in math. To earn a recommendation for honors or AP courses students must demonstrate the ability to master concepts quickly, be independent learners, and earn top grades in prerequisite courses. 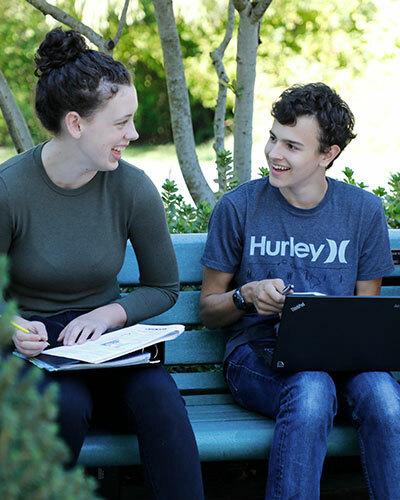 A wide array of electives in computer science and statistics covering topics from mobile app development to data visualization are available for Upper School students at The Overlake School. There are opportunities for students with any level of experience in computer science and statistics to explore and enrich their understanding of the subjects. For more information on course sequencing and tracking, please see the Mathematics and Computer Science Department Program Overview. In order to graduate from The Overlake School, students must earn a minimum of three credits in core Math courses (Algebra, Geometry, Algebra 2, Precalculus, Calculus, AP Calculus AB, or AP Calculus BC) in the Upper School. Almost all recent Overlake graduates have completed four or more credits in Math. Students who have completed high school level mathematics courses in Middle School (either at Overlake or another school) cannot use those courses towards graduation and must still earn three Math credits in the Upper School. Computer Science and Statistics electives are not core math courses and may not be used to satisfy graduation requirements. The Overlake School offers a Summer Accelerated Geometry course for exceptional students who have completed their first course of Algebra in 8th or 9th grade. 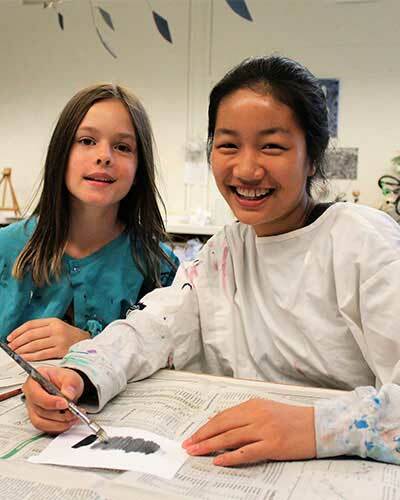 Per school policy, no non-Overlake summer course credit will be accepted for graduation or acceleration purposes without prior approval from the department chair and Upper School Head. It is possible, though rarely recommended, for exceptional Upper School students to test out of a required math class over the summer. All summer test out requests must be made to the department chair before May. For more information on mathematics over the summer and testing out of a course, please see the Overlake Summer Math Guide. All fifth grade students take Math 5. Computation with whole numbers, decimals, and fractions is honed. Keen attention is paid to understanding the effect of operations on quantities in order to develop estimation skills and improve number sense. Students examine algorithms and number composition to enhance understanding of arithmetic properties. Geometry, number theory, ratio, percent, measurement, and pre-algebra concepts are explored through hands-on activities, problem solving, and practice workbooks. Fifth graders also have math labs during which they explore open-ended problems, participate in Math Olympiad contests, and extend their study of topics. Students are regularly prompted to reflect on, prove, or justify solutions during focused discussions. Whole class instruction and smaller skill-group lessons meet varied student abilities. Students continually revisit learned concepts through classroom routines and mathematical games. As students solidify a foundation in decimals, fractions, percent, ratio and proportion, they will become more comfortable with how variables can be incorporated within these concepts. Topics include operations with rational numbers, simplifying algebraic expressions, solving equations and basic geometry. Problem solving techniques and algebraic processes are emphasized throughout the year as students learn to communicate their solutions. Reading, listening, writing, and speaking skills are stressed as students learn to express mathematical ideas just as they would in other subject areas. There is a focus on developing a breadth and depth of mathematical knowledge and skills, with a strong emphasis on conceptual understanding. An equal emphasis is placed on conceptual understanding and skill development – the "why" as well as the "how". One-year Algebra 1 course, to be taken in 7th grade. There are two options for completing Algebra 1: a two-year course and a one-year course. Placement into these courses is done by the middle school math faculty in conjunction with the department head. This is a rigorous, complete Algebra 1 course taken by a small portion of 7th graders. The course content includes solving of linear and quadratic equations, graphing linear equations and inequalities, exponents, radicals, polynomials, systems of equations, and some rational expressions. Because it includes all of the abstract concepts through the solving of quadratics, placement into this course is not solely based on strength in arithmetic, but is also based on extensive evaluation of abstract thinking. Applications to science, in addition to other complex and real situations, are integrated throughout the course. Part one of a two-year course sequence, to be take in 7th grade. This course provides exposure to the more concrete topics of Algebra. Students will explore the basic principles and skills of simplifying expressions, polynomials, exponents, radicals, and solving and graphing linear equations and inequalities. Part two of a two-year course sequence, to be taken in 8th grade. Algebra 1A. There are two options for completing Algebra 1: a two-year course and a one-year course. Placement into these courses is done by the middle school math faculty in conjunction with the department head. This course provides exposure to the more abstract topics of Algebra, building from the foundation created in Algebra 1A. The primary course content will be solving quadratics, graphing linear and quadratic equations, manipulating polynomials, solving systems of equations, and simplifying rational expressions. This course is for students who successfully complete Algebra 1 by the end of 7th grade. Through independent work, small group work, and guided lectures, students study the properties and relationships of points, lines, planes, circles, polygons and solids in both two and three dimensions. These topics are explored through the integration of arithmetic and algebraic properties along with deductive and inductive reasoning. As students study definitions, postulates, and theorems, they will develop logical and critical thinking skills that transfer to other academic studies. The first semester provides a thorough exposure to using proofs as a means of drawing conclusions. The second semester is more computation and invokes key concepts from Algebra. This course is designed for students who, for various reasons, have incomplete mastery of algebra entering the 9th Grade. Because algebra is the foundation for most mathematics they will encounter in the future, students who take this course benefit tremendously from securing these important concepts. Care is taken to enrich the familiar curriculum so that the experience feels less like repetition and more like extension. Instruction is varied to suit the needs of individual students. Topics include working with algebraic expressions, linear equations, systems of equations, quadratic equations and factoring, exponents, radicals, inequalities, and graphing. Applications, projects, and other special topics may be incorporated throughout the year at the instructor’s discretion. The purpose of the traditional full-year course in Geometry is twofold. It is important that students learn the properties and relationships among geometric figures. Primarily, however, the study of geometry provides fundamental insight into how an axiomatic system works. Development of logical and critical thinking skills and communication with precise language and symbols is emphasized. Special attention is given to writing sound mathematical definitions, formulating reasonable postulates, and proving claims about geometric figures. Both the honors and the regular level classes provide review of algebraic concepts throughout the year in preparation for Algebra II. The purpose of the traditional full-year course in Geometry is twofold. It is important that students learn the properties and relationships among geometric figures. Primarily, however, the study of geometry provides fundamental insight into how an axiomatic system works. Development of logical and critical thinking skills and communication with precise language and symbols is emphasized. Special attention is given to writing sound mathematical definitions, formulating reasonable postulates, and proving claims about geometric figures. Honors-level students are expected to achieve a high degree of mastery and be able to work independently. Advanced topics may be integrated into the honors course at the discretion of the instructor. Both the honors and the regular level classes provide review of algebraic concepts throughout the year in preparation for Algebra II. This course is designed to greatly expand students’ understanding of functions and to broaden the algebraic skill set. Students explore polynomial, exponential, logarithmic, rational and radical functions as well as special functions and conic sections. Students deepen their understanding by investigating the inverses of functions. Properties and evaluation of functions, techniques in problem-solving, and inequalities are addressed throughout the year. All of the topics in this course are explored both analytically and graphically, with and without the aid of a graphing calculator. Both honors and regular Algebra II will address a core curriculum necessary to the study of Precalculus. This course is designed to greatly expand students’ understanding of functions and to broaden the algebraic skill set. Students explore polynomial, exponential, logarithmic, rational and radical functions as well as special functions and conic sections. Students deepen their understanding by investigating the inverses of functions. Properties and evaluation of functions, techniques in problem-solving, and inequalities are addressed throughout the year. All of the topics in this course are explored both analytically and graphically, with and without the aid of a graphing calculator. Honors-level students are expected to achieve a high degree of mastery and be able to work independently. Advanced topics may be integrated into the honors course at the discretion of the instructor. Both levels of Algebra II will address a core curriculum necessary to the study of Precalculus. In the fall, students gain broader and deeper understanding of polynomial, rational, exponential, and logarithmic functions by further investigating their properties and applications. In the spring, a thorough study of trigonometric functions completes the skill set necessary for the study of calculus. Both honors and regular Precalculus will address a core curriculum necessary to the study of Calculus. In the fall, students gain broader and deeper understanding of polynomial, rational, exponential, and logarithmic functions by further investigating their properties and applications. In the spring, a thorough study of trigonometric functions completes the skill set necessary for the study of calculus. The honors-level class will apply skills to more difficult, multi-stage problems and move at a faster pace. Honors-level students are expected to achieve a high degree of mastery and be able to work independently. Advanced topics may be integrated into the honors course at the discretion of the instructor. Both levels of Precalculus will address a core curriculum necessary to the study of Calculus. 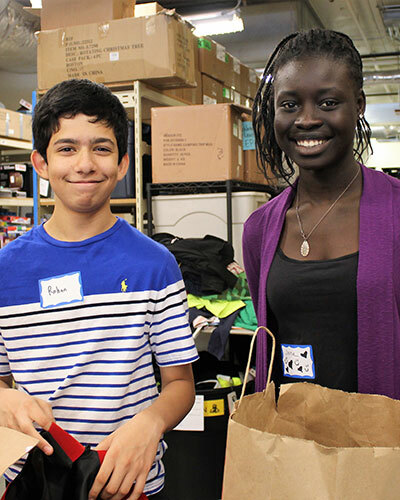 This capstone course in high school mathematics introduces students to the concepts of differential and integral calculus and helps students understand their 12-year journey through the math curriculum. For some students, Calculus provides closure. For others, it provides the confidence needed to investigate majors requiring higher math in college. For these reasons, the Math Department encourages all students to take this capstone course if at all possible. Fall semester includes derivation, related rates, curve-sketching and optimization. Spring semester introduces definite and indefinite integrals, area and volume. Through practice with applied problems, students learn to communicate their methods using appropriate language, symbols and units. A solid understanding of geometry, functions, and trigonometry is necessary for success in this course.